At Payroll Services, we understand the difficulties restaurant owners face in managing their employees and their business. There are a number of complex laws in effect regarding restaurant employees’ wages and tips. To help you with these rules and manage your restaurant business more effectively, Payroll Services offers a complete, comprehensive system that’s combines payroll, POS integration, HR, employee benefits and workers compensation together in a single system. Our system is designed to help you efficiently manage your restaurant payroll with the accuracy, timeliness and flexibility both you and your employees need. Restaurant payroll faces a unique challenge in how minimum wage is reported. In many States and Counties, each government has a unique set of minimum wage rules that must abide by. What makes this challenging is that most areas permit restaurants to pay “cash wages” under minimum wage as long as the Employee makes minimum wage with tips. In the case where an Employee does not make minimum wage, the Restaurant must pay the difference through payroll. This is called a minimum wage makeup. 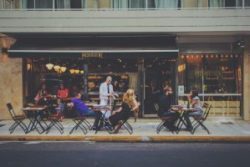 Since minimum wage increases have been at the center of attention in many jurisdictions, Restaurants need to be sure that the Employee rates are in compliance with State and Local law. Payroll Services assist Restaurants with this requirement. When an employee makes under minimum wage, our system will ensure that the Employee is paid correctly. If a jurisdiction has additional “carve outs” for minimum wage, such as a training wage, our system can be setup to allow special separation rules to apply for minimum wage. Do you have questions about minimum wage? Contact us. Restaurants have a unique carve out in the IRS code which allow Restaurants to receive an Income Tax Credit. An Income Tax Credit is provided for any Social Security or Medicare tax paid on tips above minimum wage. Payroll Services provides this at the end of every year. The example below assumes that an employee works 40 hours a week and is paid $2.13 an hour. This employee reported $400 in tips for that week. The Federal wage rate is $5.15 an hour for the purpose of the FICA tip credit. In this scenario, a restaurant owner would save over $1,000 annually for this ONE employee. 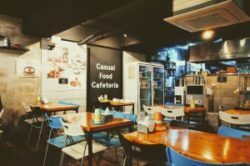 Every Restaurant utilizes a POS to track sales and in most cases their employees timekeeping and tips. This presents another unique challenge to Restaurant Payroll. Payroll Services can integrate with your POS which will report the hours, tips and variable rates for each Employee. This allows Restaurants to maintain a single system, their POS, which increases accuracy and efficiency. Contact us to see how we can integrate with your POS. The IRS provides a worksheet in the instructions for form 8027. It is important to remember that even though you allocate 8% of total receipts, that this is a minimum required amount to report per Employee and may not equate to the minimum wage in your jurisdiction. Additionally each Employee should report their cash and charged tips earned after each work session. The 8% allocation rule is designed to ensure something is reported. All Restaurants should require some form of Employee Tip Sign Off whether in their POS or using IRS form 4070. Contact us today to implement a tip sign off report. Minimum Wage * 1.5 – Overtime Tip Credit = Tipped Overtime Rate. One of the biggest headaches for Restaurants is dealing with Employee checks for minimal amounts. Since Restaurant Employees make most of their money in Tips, the actual take home pay (net pay) is minimal. In many cases Employees do not pick them up or do not cash them. Many Restaurants are left scratching their heads going “What do I do with this $3.64 check”? Most States have “Unclaimed Funds” rules which Employers must abide by. In the case where Employees do not pick up their checks, an Employer is supposed to turn over the funds to the State after a certain amount of time. This is an even bigger headache. Payroll Services recommends that all Restaurant Payroll be ran using Direct Deposit. This prevents the problem of Unclaimed Checks. We do not recommend utilizing our “Secure Pay” (or impounding) service as you will incur additional administration fees for us to refund or report to your State’s Unclaimed Funds division. We also recommend using Payroll Services free Employee Self Service which will eliminate “forgotten” or “left behind” paystubs. Employees can access their paystubs from a mobile device or any internet browser. Let us handle the problem for you. Contact us today. Since Restaurants experience uncertainty in the wages that Employees make due to Tips, traditional workers comp can leave Restaurants with big bills at the end of the policy period. 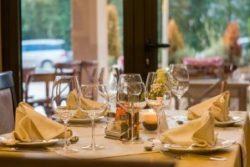 Traditional Workers Comp requires the Restaurant to provide an estimate of wages, a down payment and then to make subsequent installments based on that estimate. At the end of the policy period the Restaurant receives a Workers Comp Audit to reconcile what was truly paid versus the estimate. In most cases the estimate is low resulting in a large bill to the Restaurant. Pay as you go workers comp eliminates this problem. There is no down payment required. Every payroll the Restaurant is charged a small amount of premium based on actual wages paid, including tips. When the policy expires the wages reported have been “actual” eliminating the chance for a large bill. This is a free service to every Payroll Services client. Additionally Payroll Services is one of the few Payroll Service Providers in Maryland that can administrate Pay as you Go Workers Comp with Chesapeake Insurance, Maryland’s State Insurance provider. Learn more about workers compensation here.